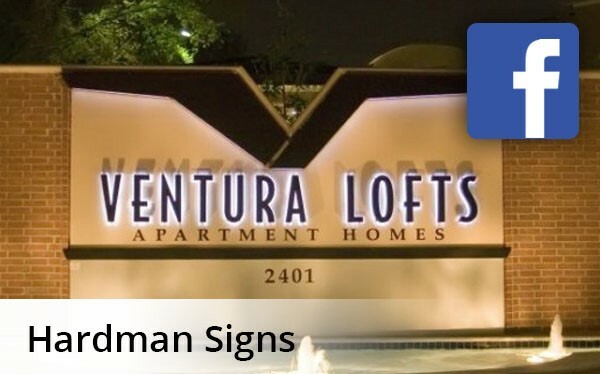 Looking for an Austin signs company with years of experience and thousands of satisfied customers? Contact Hardman Signs. Founded in 1987, we've created signs for Austin businesses and establishments of all types. We're able to complete every project on schedule and within budget thanks to our trained Austin signage staff - we employ designers, project managers, engineers and installation/maintenance experts ready to learn your requirements and create the signage that your Austin establishment needs. Our Austin signs staff will meet with you to learn your business and design specifications. We employ some of the best-qualified signage personnel in the industry, who will expertly design the signs your Austin business requires. Austin signage fabrication is made easy by our experienced engineering staff, who will fabricate your design in our secure facility. We're equipped to produce all types of quality signage in Austin, including ADA/wayfinding signage, energy-efficient solar signs, and much more. We've been the top Austin signs company for nearly 25 years, and we look forward to serving you. Fill out our no-obligation quote form to receive your FREE estimate or call Hardman Signs today.